Poet,, lyricist and author. A widely traveled writer of eclectic interests and wide-ranging experience, Jayakumar has several books to his credit including seven anthologies of poems in Malayalam and English. Translated Tagore, Kahlil Gibran, Rumi and Omar Khayyam into Malayalam and Jayadevas celebrated Gitagovinda into English. 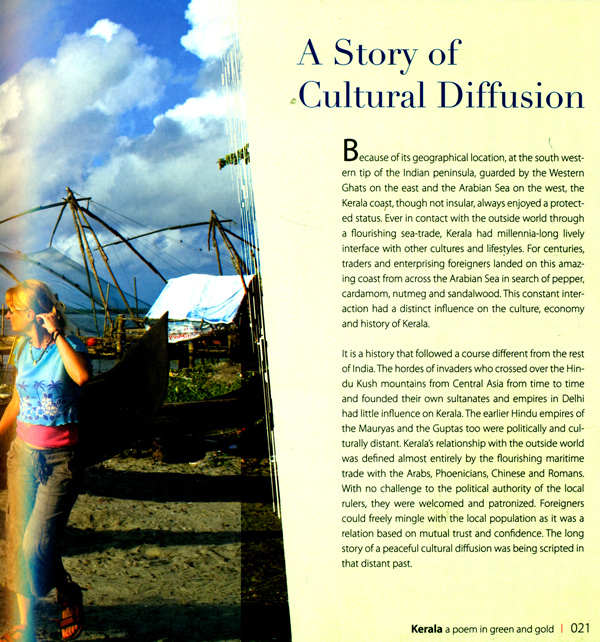 Has written extensively on tourism and culture. An acclaimed lyricist in Malayalam, he has directed a children film and scripted films, documentaries and television programmes. Also an artist who has held several exhibitions. A civil servant by profession, he lives in Thiruvananthapuram, Kerala. 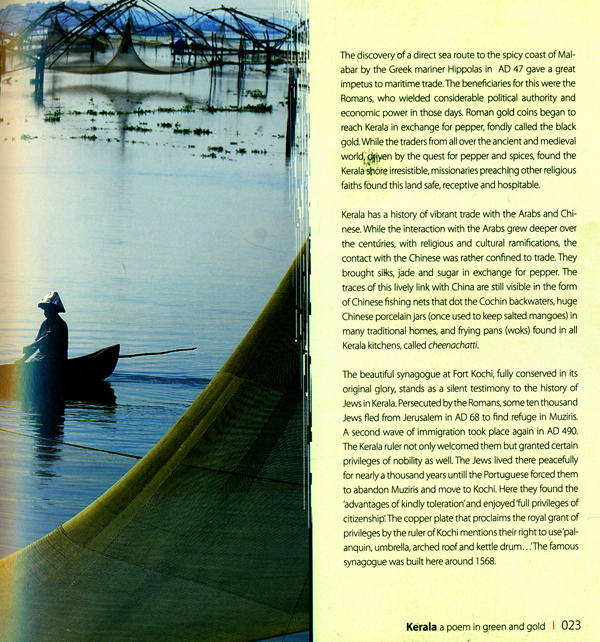 Kerala: A Poem in Green and Gold, published by Invis Infotech Pvt. 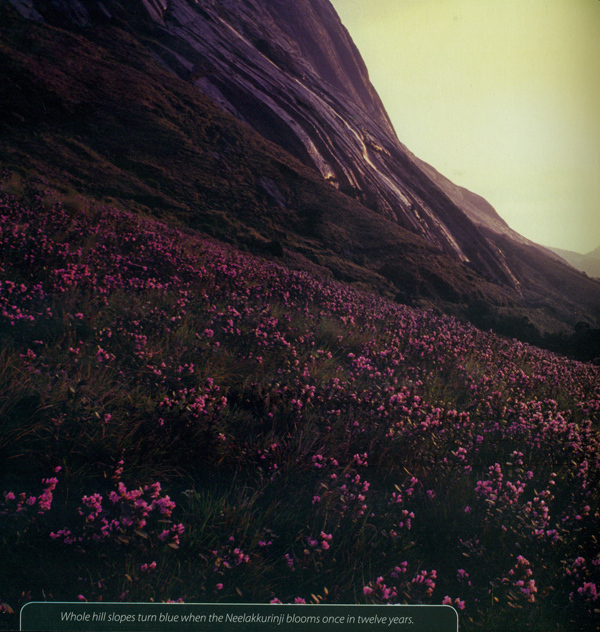 Ltd., is the fifth publication from Invis group. We started discussion of this project with Sri. 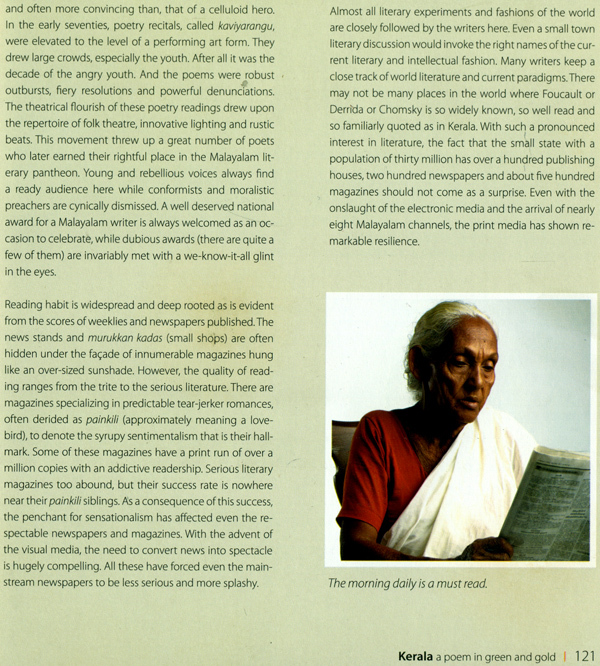 K. Jayakumar as early as in 1998, when we brought out the first interactive CD-ROM on Kerala, titled Kerala: The Green Symphony, in association with the Department of Tourism, Government of Kerala. 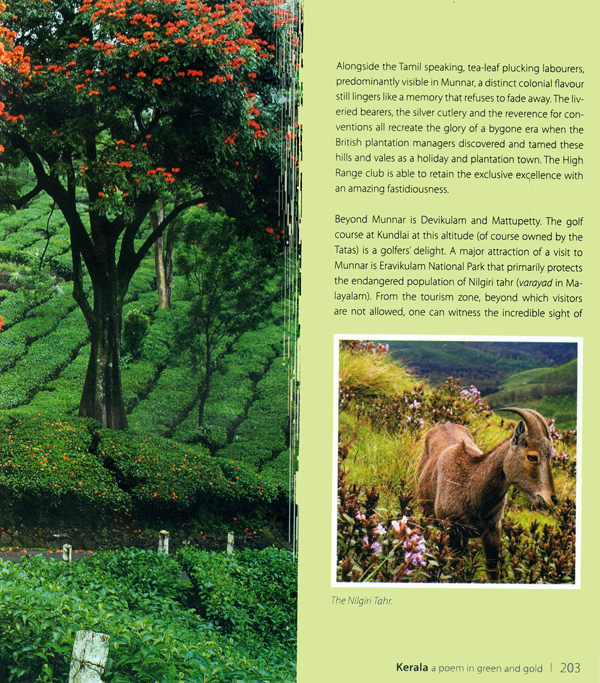 Our idea was that besides presenting the beautiful state of Kerala to the world, the book should also offer deeper insights into the people and culture of the land. 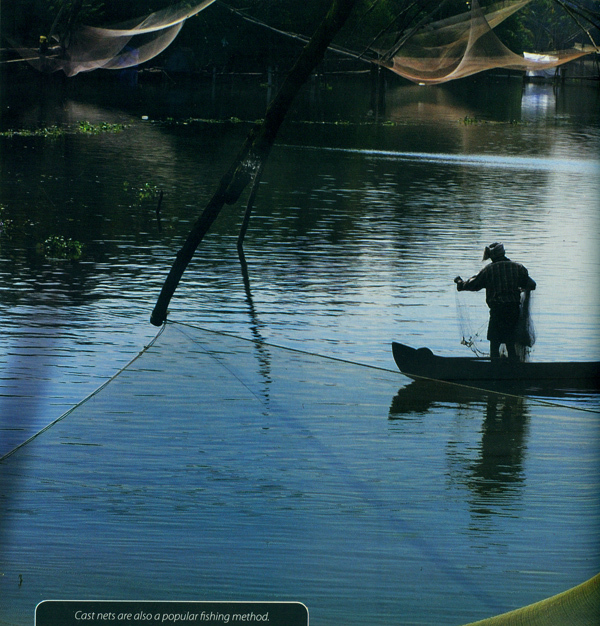 The importance of the state of Kerala is not just the beauty of the place. Kerala has developed a unique model in poverty alleviation, removal of social inequalities and human resource development. It has set a model for the coexistence of religions and we hope Sri. 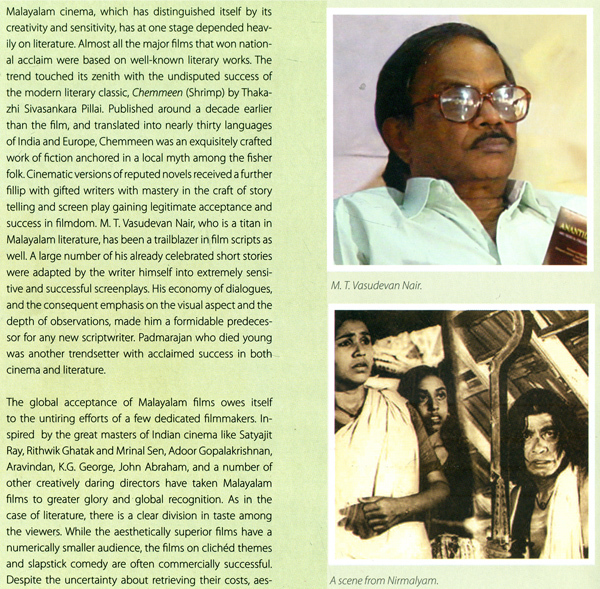 K. Jayakumar has succeeded in bringing out these diverse hues of Kerala. We are grateful to Prof. (Dr.) U.R. Ananthamurthy who wrote the foreword and added his own insights of the state thus enriching the book in all the sense. 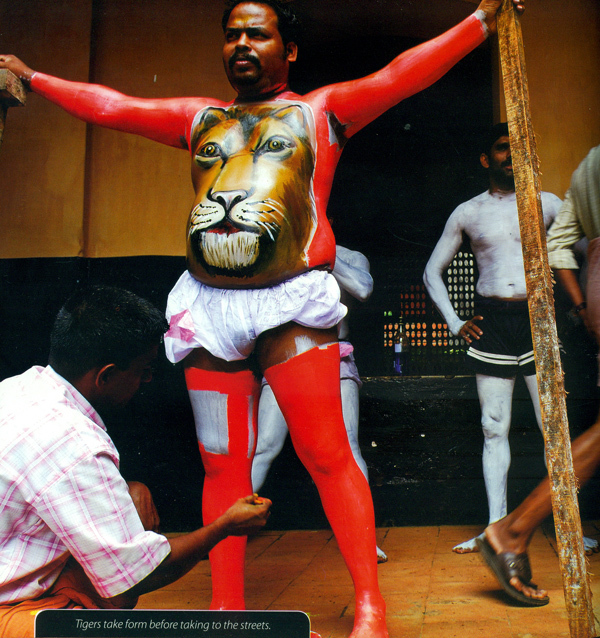 Kerala and its people have never ceased to surprise me. During my four year stint as the Vice- Chancellor of Mahatma Gandhi University in Kottayam — the critical mind and the unflagging enthusiasm of the Malayalees, theirvigilance in preserving social equity and justice and their unique sense of humour geographically distinct and also caste distinct(in a country which aims to achieve a casteless society) always fascinated me. I was puzzled as much by the apparent contradictions in Kerala society as the ability of the people to brilliantly harmonize them. While Kerala has its unrealized dreams of industrialization, there are a dozen areas where the tiny state has blazed ahead of others. In land reforms, in school enrolment, in literacy, in healthcare, in women empowerment and so on. The latest success story is in the area of tourism. That is not unexpected. 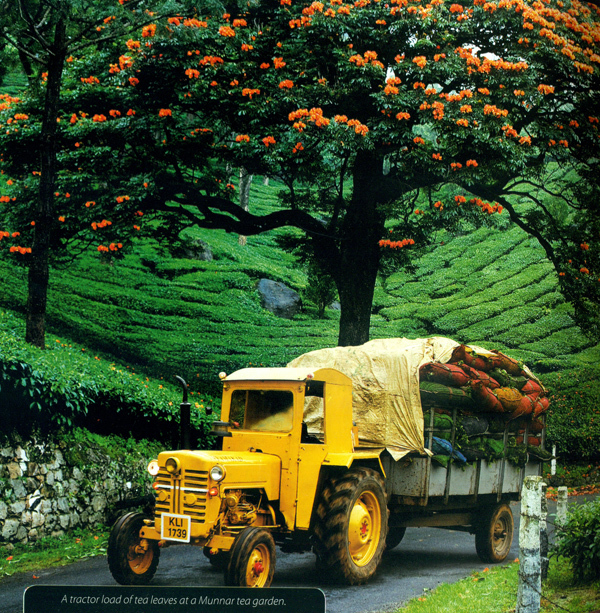 Bestowed as Kerala is with an abundance of greenery and quaint beauty, the state is a natural claimant for triumph in tourism. 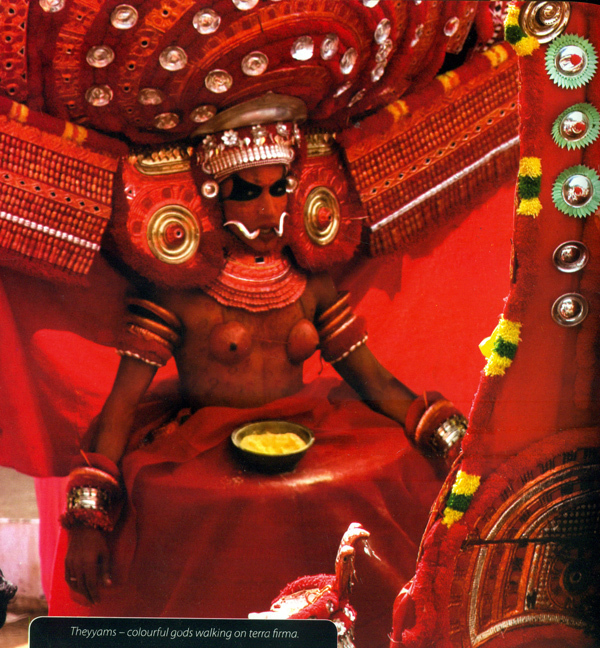 Yet one must observe that tourism, as in some parts of India, has not commercialized the unselfconscious quality of Kerala culture. The country is not on display; ou have to discover her as a pilgrim and not as a sightseer. Any book written on a state that has made its mark in tourism geography should be a natural victim to the trappings of sickening superlatives and absurd absolutisms. This book came as a pleasant surprise for its refreshing sobriety and skilful narration. 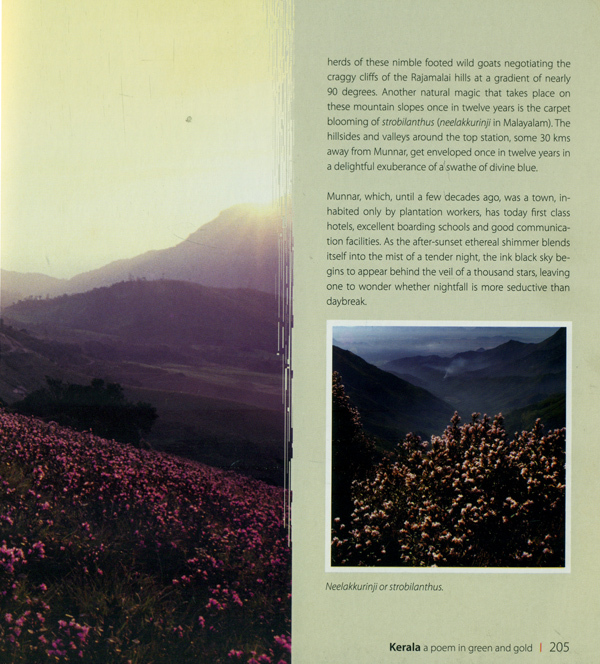 Here is a book that has dared to stray away, in spirit and language, from the primrose paths of tourism to capture the enigmatic beauty of Kerala in a strikingly truthful manner Often books on travel and tourism dabble on chimerical surface attractions and fail to make deep studies of the land, its people and their culture, This book is an exception. 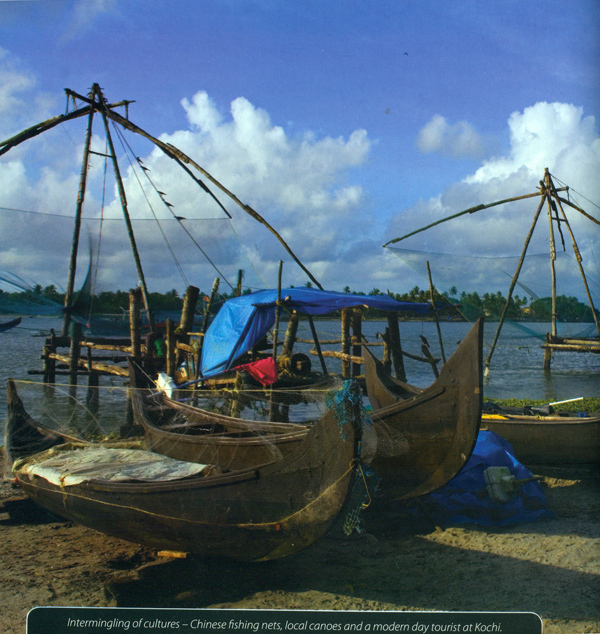 The author conveys the historical and cultural ambience of Kerala with the intimacy of an insider and the objectivity of an outsider the book will unfailingly guide the reader through the rich cultural landscape of Kerala, offering enchanting revelations and meaningful information. 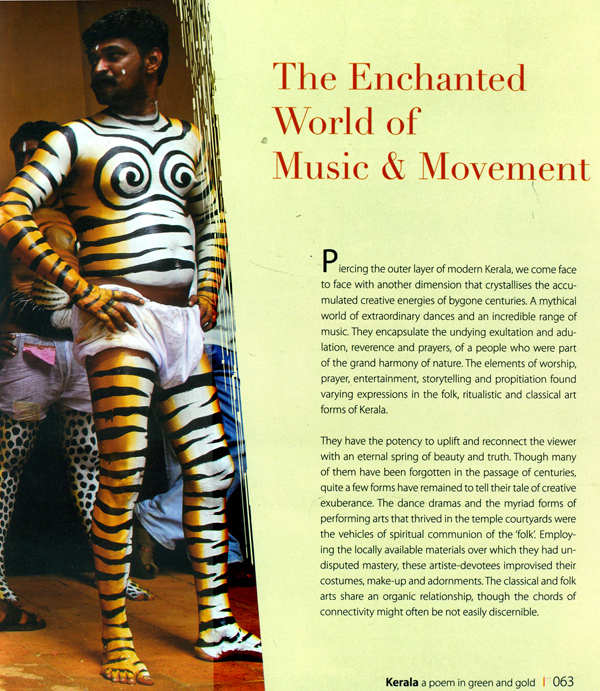 It is also an interesting critique of the socio-cultural aspects of contemporary Kerala providing curious vignettes into its inimitable blend of tradition and modernity. The compelling and lucid style of narration enriched with introspection and interesting observations makes reading this book a joy. History is invoked to understand the present and cultural heritage is studied to appreciate the abiding values of a people that the author is a poet and creative writer in Malayalam is evident in this delightful book by the tone and tenor of the language and the depth and empathy of narration. It is truly a book of surprises in more ways than one. 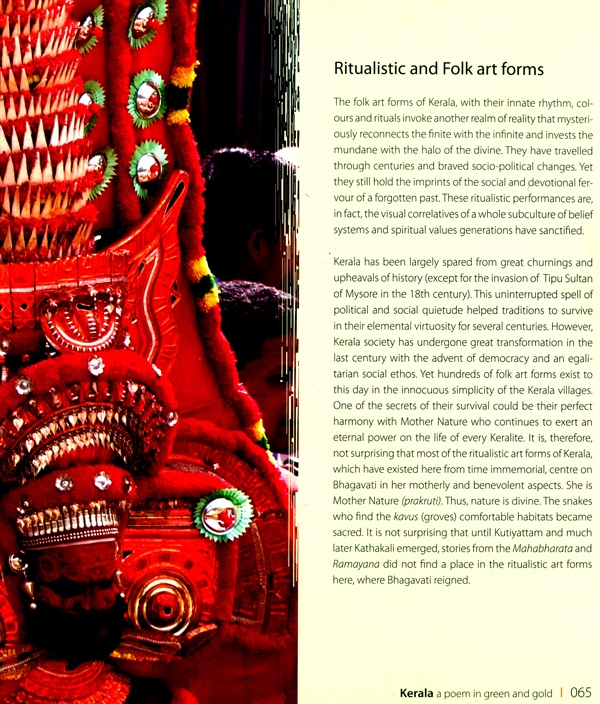 The author succeeds in retaining the mystery and enchantment of Kerala even after extensively sharing with the reader the depth of its beauty and the uniqueness of its culture, And that is no mean achievement. I have no doubt that this narrative of the glory, mystery and beauty of Kerala will elicit an endearing response from discerning readers. 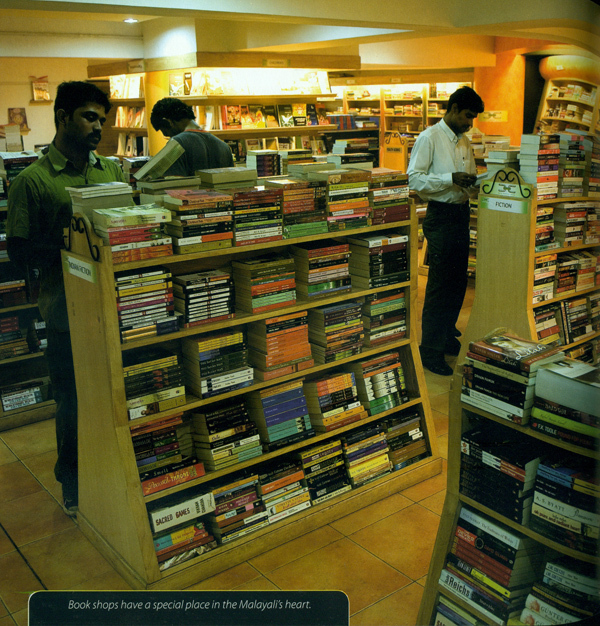 The book is not a tourist guide; it is an invitation to a pilgrimage.